How Should You Handle an Office Server Relocation for Your Company? Office server relocation is just one of the many reasons why commercial relocation is such a big company endeavour. If you have no idea how to go with things along the process, then the more it will be hard for you. And this is the more reason most businesses hire relocation experts. For the fact that they can deal it with ease, your move will be fast and smooth. Especially if you are such a huge company moving into a very far state from your original location. Huge enterprises value their networks so much. Because a network in such firms is like the central nervous system of a human body. A problem in one conjunction may cause greater damage to the overall population of systems in your network. And there are just too many risks in moving your servers than the simple anxiety of your equipment accidentally being dropped from the crate and skate rentals. Each storage device for your servers contains data which hold so much value in your network and can be a gateway for attackers to infiltrate your system. 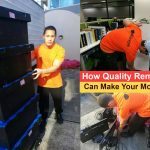 Therefore, a slight mistake in your office server relocation, even just a simple access issue for the moving team may invite greater contingencies which you will not be able to afford to have. That said, as careful as you plan your removal, a huge section of that plan should include the plan for your office server relocation. Months before the move, you should set a schedule for your IT team to visit the new location. This is after you’re 100% certain about the location. The visit should be for your team to review network cabling requirements. Other than that, you should also contact internet service providers and see which of them could give you a great deal in the new location. And this is to inform them as well of your moving date. It would also be good to schedule an inventory assessment months before your office server relocation. This is for you to find aging equipment that is becoming a liability for your network more than an asset. Doing so will help you segregate the equipment that should go with you or which should be stored in a commercial storage unit, or disposed of. Different establishments may also mean different infrastructure requirements. You can’t just assume that every outlet and every cabling can be adjusted to your preferred office layout. Knowing how many phone lines are there, outlet locations available, and types of cables you have and should get are key to a successful move. You can do the same thing with the power outlets. Reassess configuration plan for the new office with your IT provider. Compare the configuration compatibility to your new office layout. Ensure that the minimum requirements for the server booth are compatible with what you have. The location may make variations to your telecommunication plan compatibility with your business requirements. So, it’s worthwhile to check on this too. And assess whether there is a need to change your current telco package or provider. Also, keep in mind the possible growth and expansion possibilities for you and make sure your telco deal will work out for you when you start scaling up. If your network is the central nervous system of your trade, then data is the blood flowing in it. With that analogy, a vulnerable network and leaking valuable data is like having a stab wound. The more blood you lose the more damage it can bring. And even if we say, hackers can only penetrate so far, it still brings so much danger to your network. Note that even small wounds can bring infection. That said, during your office server relocation, you need to make sure that you can protect your data all along. The complexity of securing the software side of your servers is just as complex in handling the hardware side. There’s just too much contingency underlying in every step of the way to neglect the need for expert care in handling your equipment. So, be sure to have a team that knows how to handle the hardware during the move. Once the move is all said and done, it would be best to have a test run for your network while your IT team are still with you. Meaning, double check every equipment that you have moved with your tech guys just in case any troubles and error arises they can deal with it quickly. Once your checklist is all set, you can then be rest assured that you will have things in better control. Unless of course, you won’t use the checklist (which puts all your effort in making it for naught, apparently). Stay on top of your move and ensure a smooth sailing process ahead of you. Need a hand for your IT move? Our team is always up to go to help you through. Plus, plenty more solutions for you if you browse the website further, and more insights from our blogs. Or, you can simply give us a call so you can talk to our friendly staff. 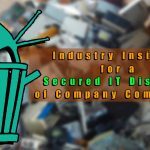 Also, find out how to handle your computers during the move, read our article: Industry Insights for a Secured IT Disposal for Company Computers.